So you have washed your fabric and it is almost dry. This is when we give it a good press. Let the iron do the work; you do not want to put so much pressure on your fabric that you distort the grain. I use a very hot iron and depending on how dry the fabric is I use the steam function or not. If you like nice crisp fabric then why not give it a quick spray with aerosol starch – you can find this in your detergent section in the supermarket – read the individual brand instructions. I fold my fabric in half with the wrong sides together and the selvages together. 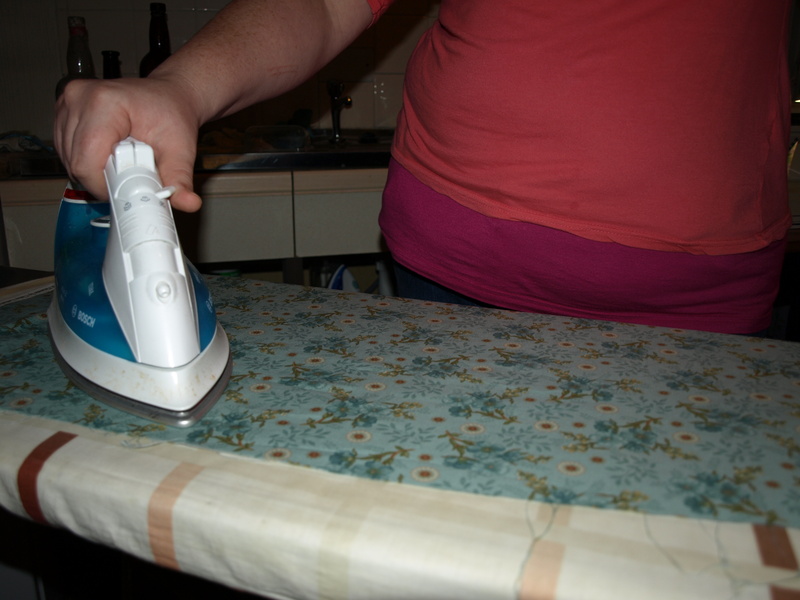 If your fabric is very creased you may have to iron one side first and then repeat the process on the other side. When you are done with the ironing, fold your fabric and set aside until you have finished all the others. Now you are ready to start. Good luck and happy quilting. « Decision made – now what?